Montreal, September 30, 2018 – Racecar driver Alex Tagliani did not realize the season finale he was hoping for in Saturday night’s Pinty’s Fall Brawl, a 200-lap affair held at the one-kilometre paved oval Jukasa Motor Speedway located near Hamilton Ontario. 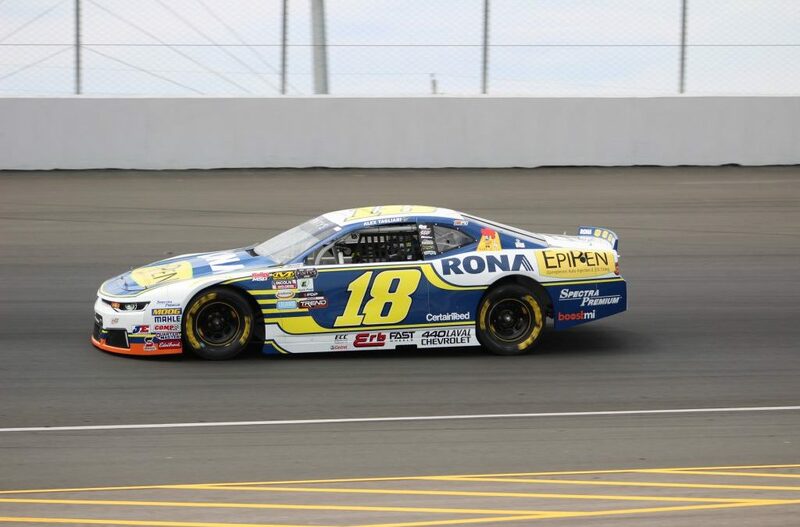 Starting sixth, the Quebec driver suffered mechanical problems in the early part of the race and later on was assessed a pair of penalties that scuppered his quest for a championship drive. Tag crossed the finish line in 13th place, securing second place in the 2018 NASCAR Pinty’s Series final driver standings.